The White House on Friday insisted that former national security adviser Michael Flynn’s guilty plea will not implicate President Trump or anyone else in the White House. 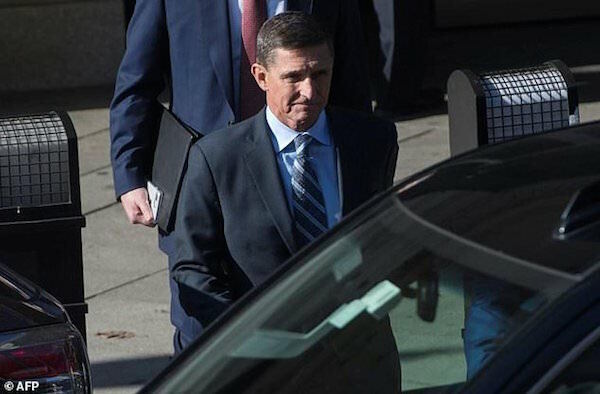 Flynn is pleading guilty to making false statements to the FBI regarding his conversations with Russia’s ambassador to the U.S. Special counsel Robert Mueller’s office brought the charges on Friday. In a statement, the White House emphasized that Flynn was fired for making false statements to Trump officials, that he worked for Trump’s administration for a short time and that he was a former Obama administration official. Flynn was a close adviser to Trump during the campaign and gave a speech at the Republican National Convention in July 2016. President Obama fired Flynn as head of the Defense Intelligence Agency and reportedly reportedly warned Trump about Flynn during a discussion two days after the election, saying he had concerns about the official joining the national security team for the new president. The White House also tried to distance itself from other former Trump aides indicted by Mueller, who is probing whether the Trump campaign colluded with Russia’s election meddling efforts. Officials argued that charges against former campaign chairman Paul Manafort did not implicate the Trump campaign or White House because they were related to his prior lobbying work on behalf of a pro-Russia political party in Ukraine. But the charges against Flynn, and his subsequent guilty plea, are an ominous sign for the White House. They show the former Army lieutenant general is cooperating with Mueller’s probe. Unlike past Mueller targets, the charges against Flynn relate to his actions while was in the White House. He was accused of making false statements to the FBI on Jan. 24, four days after the inauguration, about conversations he had during the transition. Flynn was a close confidant to Trump during the campaign and the position of national security adviser is one of the most powerful positions on the White House staff. President Trump has not yet personally weighed in on the charges. The White House scrapped a planned joint press availability with the prime minister of Libya, where reporters could have asked about Flynn.